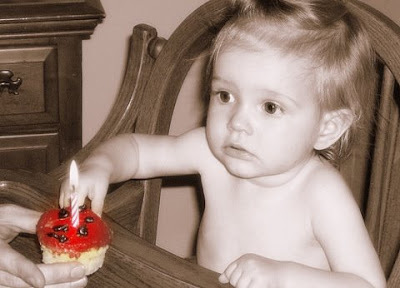 This week at I heart faces the theme is Happy Birthday. This picture is from Jada's first birthday. She will be four at the end of the summer. You forget how little they once were! Great entry this week. I love the effects. Beautiful! My baby girl's first b-day's coming up WAY too soon.